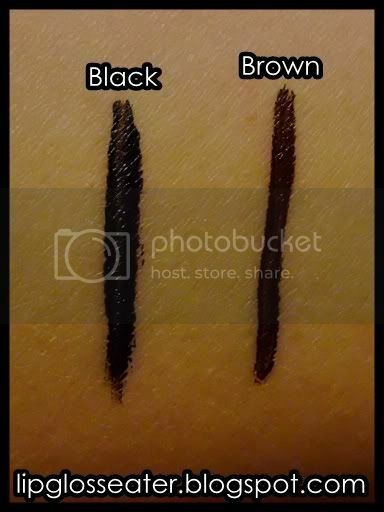 We have only Black and Brown over here, through i'm aware that there are other colors available elsewhere! 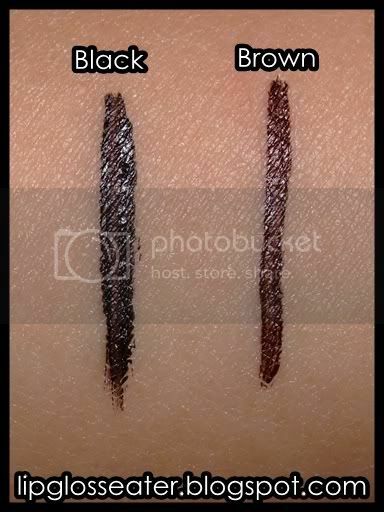 Both Black and Brown have excellent pigmentation and they go on intensely as you can see from the swatches below! 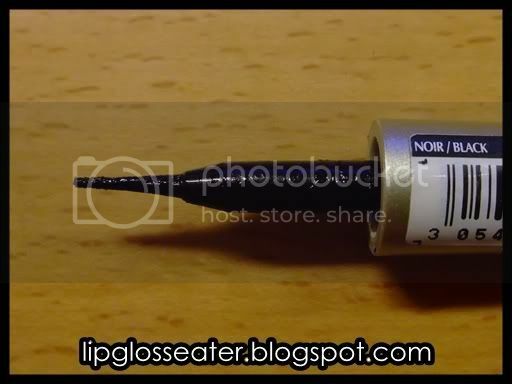 Like most liquid eyeliners the brush is attached to the cap. The brush is firm and as you can see, does not taper out to a fine point which mean you cannot do an ultra fine line on your lids, which suits me as i prefer thick liners! These liquid liners glide on smoothly but does tend to goop up as time passes. Remember to change your liners every 6 months! These liners take about 10 seconds to dry entirely, and once they do, they stay on until you take them off!! They do not flake or smudge on me! Impressive! These are not water proof though, so make sure you don't cry / swim with them on cuz it won't be pretty (happened to me once)! lol! I use this on my upper lids primarily as i have teary eyes so lining the bottom lid with this is a huge no no! Whether to draw a simple line or a mysterious cat's eye flick, this one performs beautifully! 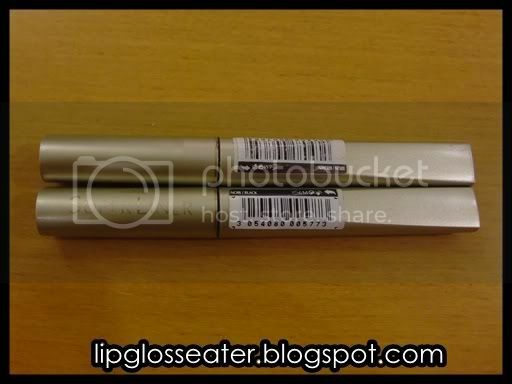 Excellent drugstore stuff that performs beautifully!! Would be great if it is waterproof! 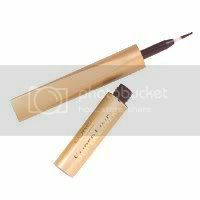 Likes: Excellent pigmentation, Smudge / flake proof, easy to remove! Gripes: No waterproof formulation where i live! i love eyeliners that stay. great review. yeah, don't we all! :D too bad this one's not waterproof! !